In February, Regular portfolios underperformed our competitors. The biggest reason is the underperformance of Berkshire Hathaway (BRK-B), which slid by 1.8%. Gold also dragged down the performances, though to a lesser extent. While it’s hard to know exactly why BRK-B underperformed, I believe some people are beginning to question if Buffett still has his magic touch. Buffett is getting rather advanced in his years, and quite a few of his recent bets haven’t panned out well. Apple’s stock has been languishing, and Kraft Heinz crashed last month upon reports of an unfavourable earnings outlook. Given that, you might wonder if I plan on removing BRK-B from the Regular portfolios. The answer is no. Though I don’t believe Buffett can replicate the results of his earlier years, I do think he’ll perform better than the average value manager, and this is not even taking fees into consideration. In fact, the fees he implicitly charges for managing investments are very low, as he only draws a very modest salary of $100,000 per year. Put those two together, and I believe BRK-B will do better than an index fund in the long run. “The fact is that the annual change in Berkshire’s book value – which makes its farewell appearance on page 2 – is a metric that has lost the relevance it once had. Three circumstances have made that so. First, Berkshire has gradually morphed from a company whose assets are concentrated in marketable stocks into one whose major value resides in operating businesses. Charlie and I expect that reshaping to continue in an irregular manner. Second, while our equity holdings are valued at market prices, accounting rules require our collection of operating companies to be included in book value at an amount far below their current value, a mismark that has grown in recent years. Let me explain these points a bit more. The third reason that Buffett cited is easiest to understand. BRK-B has a book value of roughly $140/share currently. Now, let’s say Buffett decides to repurchase $5/share worth of BRK-B stocks in the market, and nothing else changes. In this case, the book value of BRK-B would go down to $135/share. However, that doesn’t mean BRK-B lost any money. Rather, it just means that $5/share worth of cash has been returned to shareholders. Tracking BRK-B’s book value would thus paint an inaccurate picture of Buffett’s investment performance. The other points Buffett raised in his letter, however, require a bit more accounting knowledge. When Buffett buys stocks in a publicly traded company like Coca-Cola, the book value attributed to the stocks goes up and down with the price of the stocks. So if Coca-Cola goes up by 10%, and if $10/share of BRK-B is attributed to Coca-Cola stocks, then BRK-B’s book value goes up by 10% of $10, which is $1/share. However, the accounting treatment is very different for private companies. A prominent example of this is Burlington Northern Santa Fe (BNSF), a railroad company. Buffett bought this company and took it private in 2009, for a total of $44 billion. But since the shares of private companies don’t trade on an exchange, it’s hard to know exactly how much BNSF is worth today. 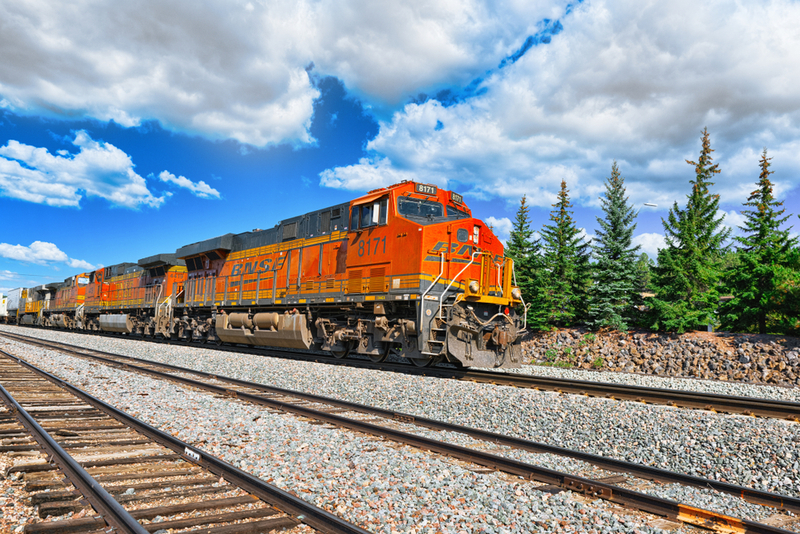 Accounting rules therefore say to leave the value of BNSF at the purchase price (i.e. $44 billion), and only add/subtract earnings to reach its book value. The value of BNSF attributed to each BRK-B share therefore changes very slowly, in accordance with how much the company earns. For example, let’s say BNSF has earned $3 billion a year for the 10 years since Buffett purchased it. In that case, the value of BNSF would now be stated as $74 billion on BRK-B’s balance sheet. If $44 billion translates to $10/share in book value, then BNSF would now be “worth” $17/share. But what if BNSF was still publicly traded instead? We can only guess what BNSF’s share price would be today, but I imagine it would have done really well. For comparison, both CN Rail and CP Rail’s stock prices have nearly quadrupled since 2009. Assuming BNSF’s price would have quadrupled, then the book value attributable to BNSF for each BRK-B share would be $40/share today instead of the $17/share we mentioned earlier. Taking companies private therefore unfairly disadvantages Buffett’s investment track record. I therefore think he’s correct to abandon book value as his yardstick, despite the howl of indignation from some corners of the investor community who thinks he’s moving goal posts. BRK-B is the rare stable, growing company managed by a brilliant CEO. I therefore envision sticking with BRK-B for a long time. Disclosure: I own some BRK-B stocks.